First, let’s style our wrapper element. 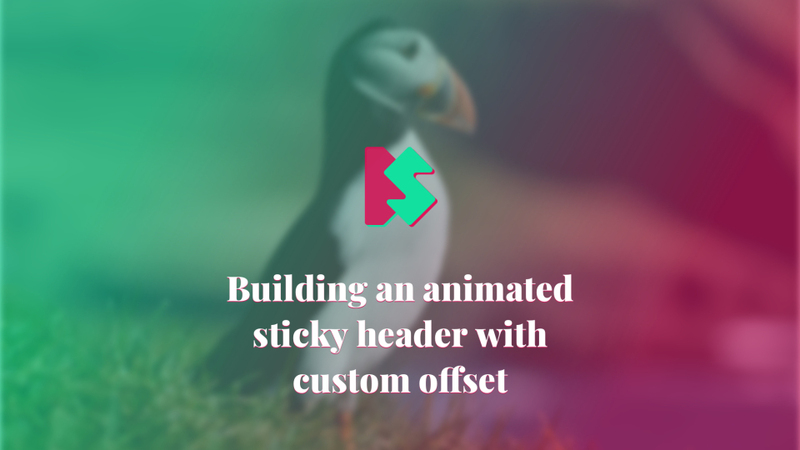 It should have position relative by default, and sticky once the offset is reached. .header--alpha, our static header is visible by default. When the user scrolls past the offset, and the wrapper header element becomes sticky, it will be translated outside of the wrapper element instantaneously without any transition effect. Note that element will be transitioned when it goes to the original position when sticky effect won’t be active.